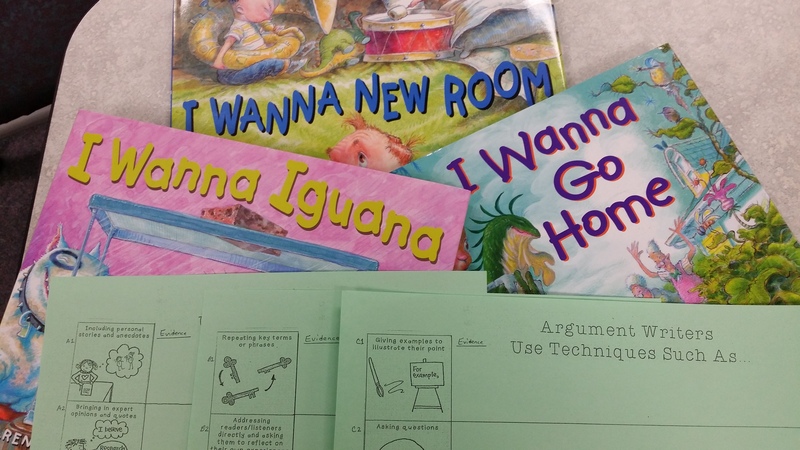 Pairing mentor texts enables teachers to meet several lesson goals at once. 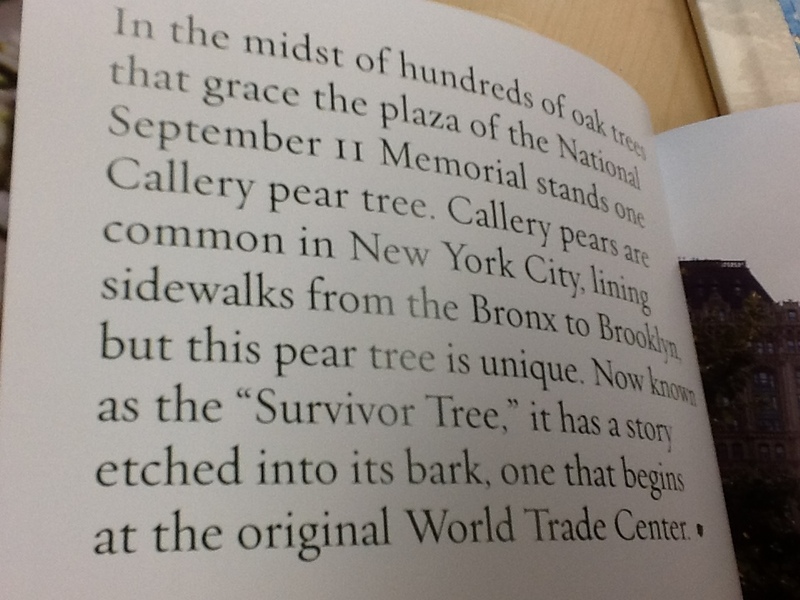 Students who study the true facts behind a story make connections to the text and to history or current events. In addition, finding patterns and contrasts between two genres can serve to better distinguish them in the students’ minds. How can we maximize instruction? What do you notice from the book covers? Stop, pause and jot a few notes. If you were to begin to form a theory about these books, what would it be? Before this summer, I would have jumped right in, read this first page, and had students make note of what the author was saying. BUT, it really isn’t about just being able to NAME this genre of text. Instead it’s about noticing HOW the author used the techniques of the genre to meet his or her writing goals. And viewing one text at a time is slow because of the lack of comparison and actually limits the amount of text that students are exposed to over the course of a year. 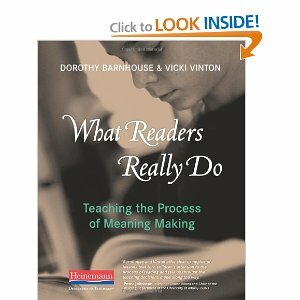 Let’s look again using the “Know/Wonder” format from Dorothy Barnhouse and Vicki Vinton’s, What Readers Really Do Teaching the Process of Meaning Making. We will begin by putting the first page of both books side by side. Consider what you know after you read the first page from each book. What information is the same? What do you still wonder after reading those first pages? What do I “Know” after reading page one from both books? Structurally, the first page one consists of three sentences that are fairly complex. The second page one has four paragraphs. 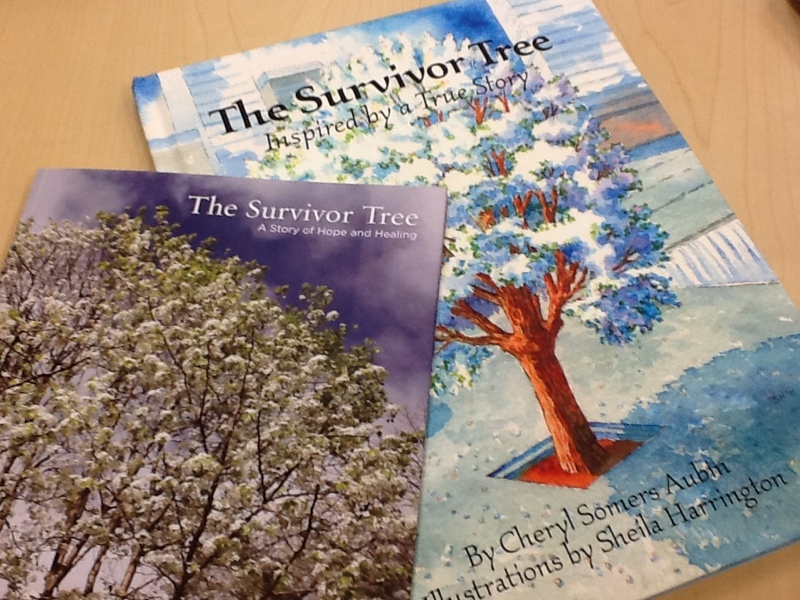 I wonder if both books will actually be about “HOW” the tree survived and the fact that trees can be “resilient”? Will the first book continue to be more factual and contain more information even though it says it is a story? Will both books continue to have a lot of similarities in their information that will make it “easy” to compare those stories? 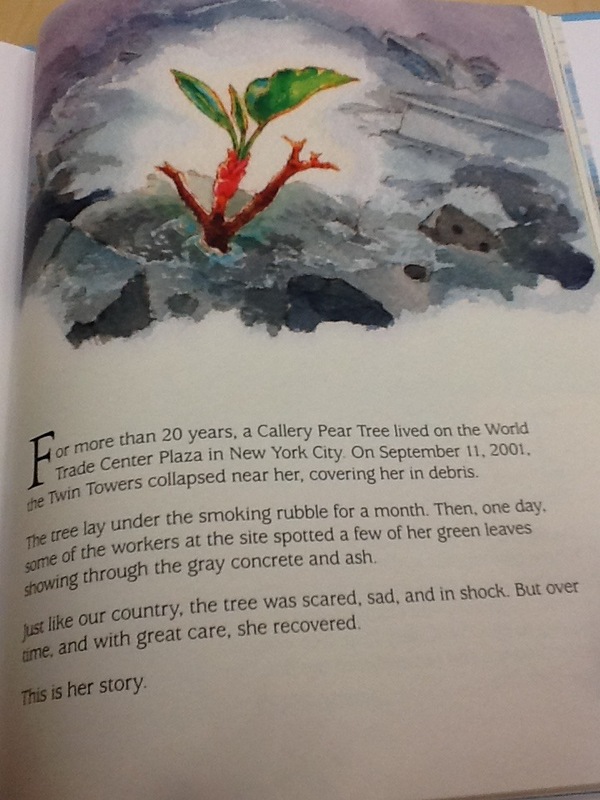 Will the second book read more like a story or narrative with the “tree” as the main character? Does the use of a watercolor drawing help create the “feeling” of a narrative in the second text? Which text already seems to have more “narrative” features? Which one seems to have more informational features? Why are both authors saying that they are telling a story? In this new and improved plan, the second stage will actually have us looking at the book covers. 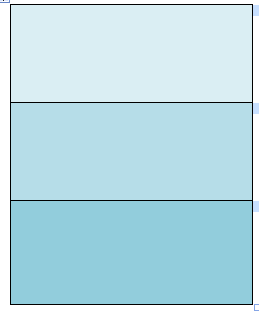 Based on what we have seen on the two different page ones, which book cover goes with which page and why? 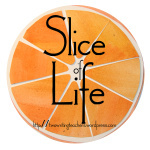 (Claim and supporting details) I believe this conversation will have a greater focus on the text and how the authors have begun their stories. 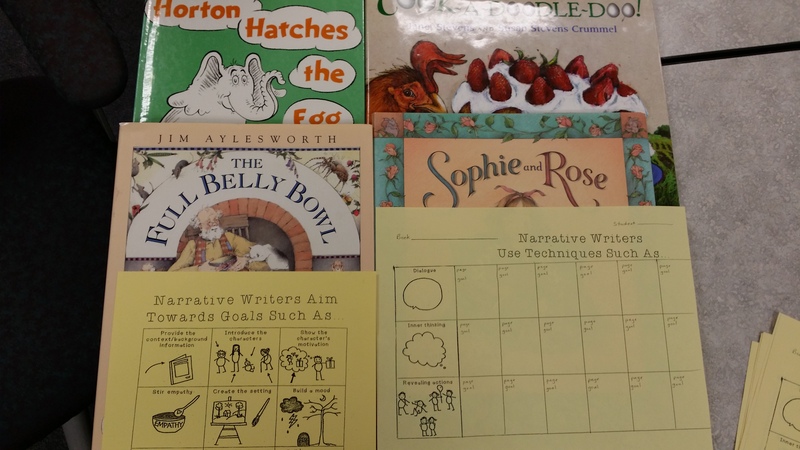 This attention to the author’s craft will help the readers grow in both their reading and writing. Can you already tell which page belongs to which book? What writing techniques helped you make that decision? Which plan do you usually use with paired texts? 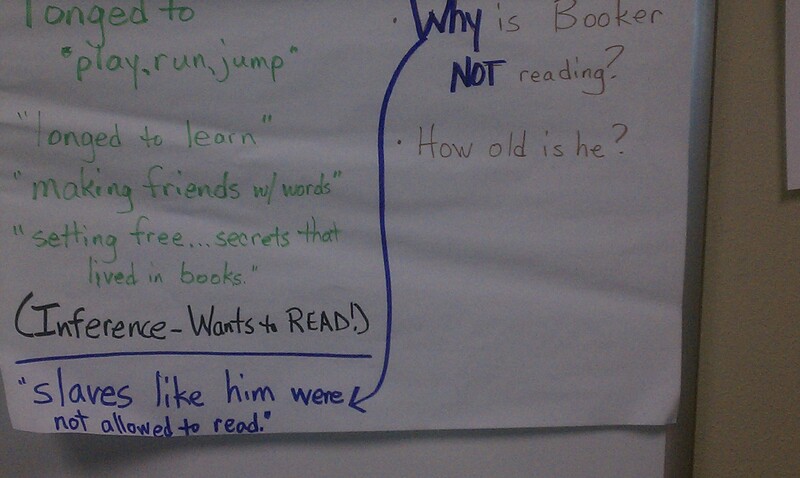 What other paired mentor texts do you have in your reading and writing instruction? I believe in the power of bundling the CCSS Anchor Standards so I was quite happy to purchase this book at the New York Public Library while in New York for the #TCRWP Writing and Reading Institutes. 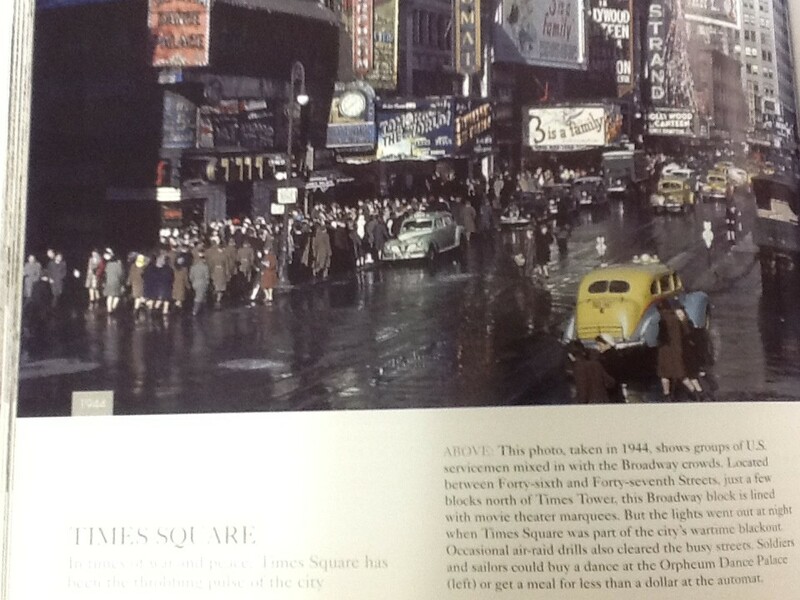 I loved the content immediately as each page had a picture and a text block. The organization was also easy as each two page spread had the “then” picture on the left page and the “now”picture directly opposite it on the right page. My mind took me straight to compare and contrast with “visuals” and texts. We will begin with the front cover. The book will be displayed via the document camera. Each partner group will also have the picture. The partners will have some time to study the picture and record the things that they know and those things that they wonder. After all groups have had time to talk and record their notes, we will record their thoughts on chart paper or on a google doc on the screen. 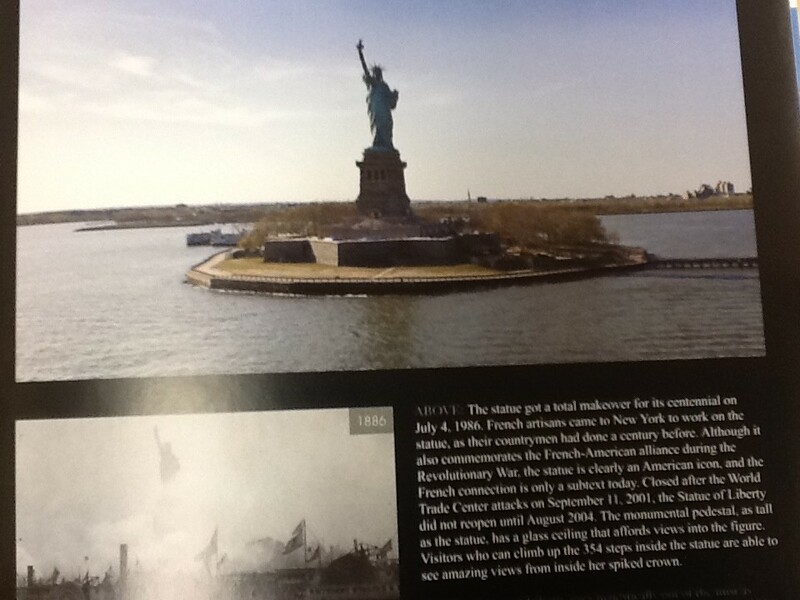 Students will be well aware of the power of “…and the evidence of that is. . .?” as they listen, question, and challenge each other’s thinking. 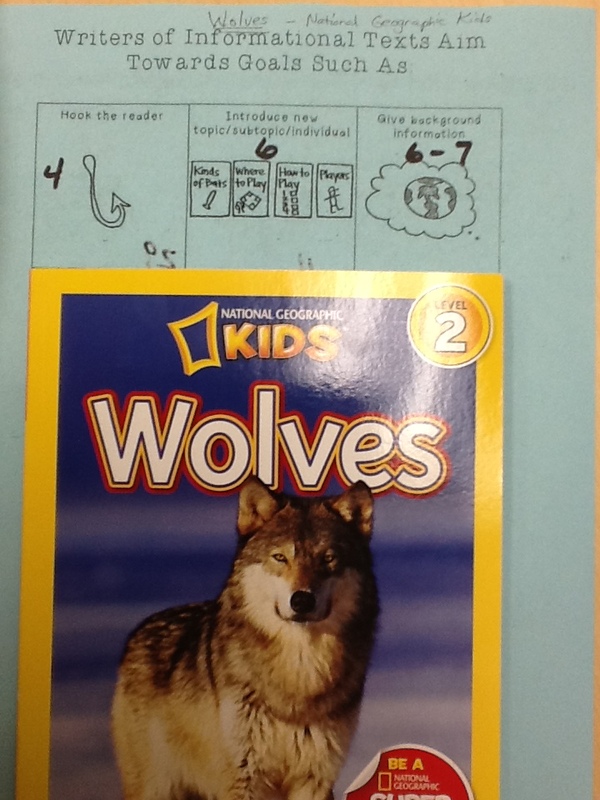 Each partner groups will then develop a draft theory about this book and its contents. 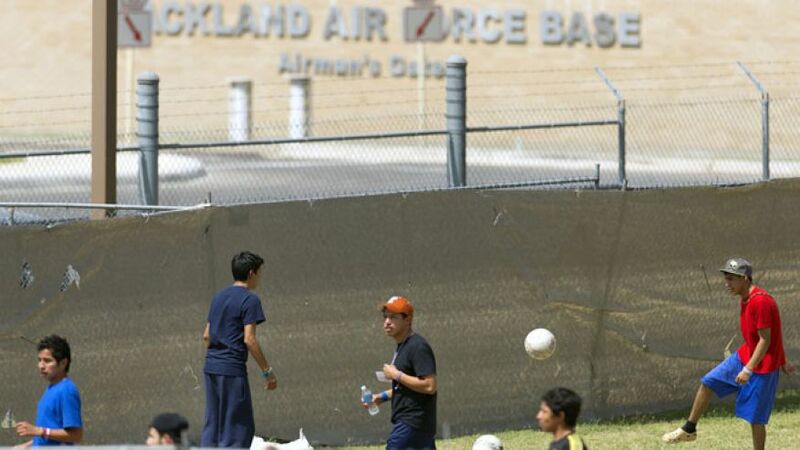 Inquiry will continue with this picture (text folded under at first). So, here’s the first draft of my plan for grades 3-5. 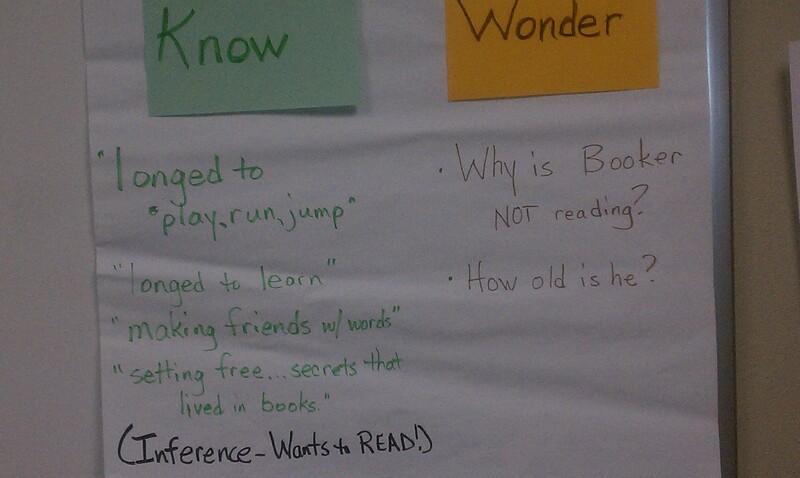 We are going to use the “Know” and “Wonder” chart idea from What Readers Really Do especially now that I have met both authors, Dorothy Barnhouse and Vicki Vinton. We will begin with the picture only. Then after all partner groups have several “Knows and Wonders” recorded privately, I will read the text under the picture. Students will be encouraged to study the text as well. They will add textual evidence in a different color of ink as the partner groups continue to add to their “Know/ Wonder” thinking. Before the next picture is added, students will be encouraged to consider whether their draft theory is still holding up or whether it needs to be revised. 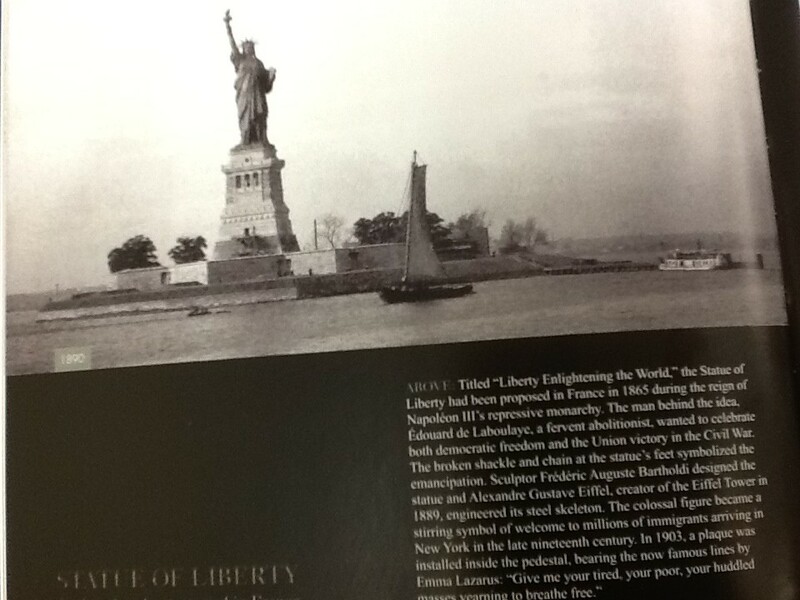 After partner groups have recorded their Know and Wonders from the picture, the text below Lady Liberty, and from class discussion, we will continue to explore whether our theories still hold true. Similar process for another pair of pictures . . .
After working with these two pictures, students will pair square so that each set of two partners will be matched up with another set. As a group of four, they will discuss their “Knows, Wonders” and patterns and theories. On the next day the quad groups will again discuss whether they have additional “knows and wonders” to add, clarify, or restate. Time will also be allocated to add, clarify or restate patterns and theories as well. Partners will be encouraged to take a different set of “then” and “now” photos and continue to test their theories and patterns as well as answer questions that have arisen. 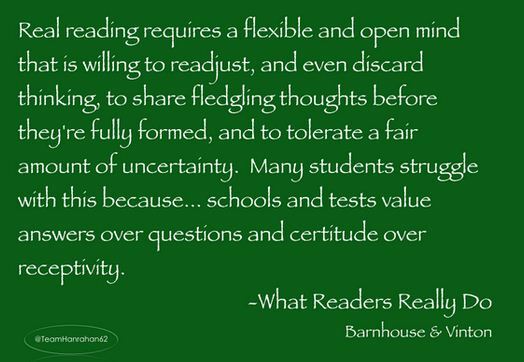 How will this work align with the CCSS ELA Reading Anchor Standards ? The following list of CCSS ELA Anchor Standards could possibly be included in this study. Do you agree with these possible standards? Disagree? What would you add to this instructional sequence? and a plan to reach goals. Adjust our teaching and thinking. and we will help them get there. “Yet” opens doors that “can’t” wants to close. What does the word “yet” mean to you? 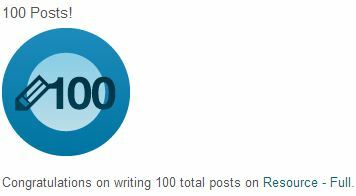 This is my celebratory 100th post with over 25,000 hits since October of 2012! Thank you, READERS! Through Twitter and many Twitter friends, I have come to value charts. If you aren’t familiar with @chartchums, you need to check out their blog here or their book Smarter Charts here. 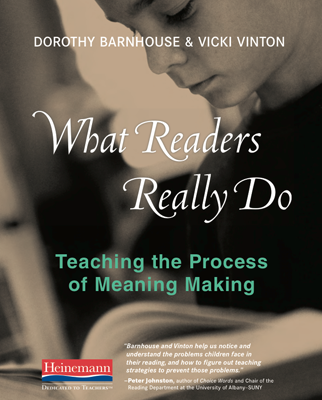 Dorothy Barnhouse and Vicki Vinton have introduced us to Know and Wonder Charts in their magnificent text, What Readers Really Do: Teaching the Process of Making Meaning. There is a Twitter Chat, tonight, April 22, 2014 from 8:30 – 9:30 EST (#WRRDchat) where many of these ideas including “implementation” will be discussed. Our chat leaders include: Allison Jackson (@azajacks), Julieanne Harmatz (@jarhartz) and Ryan Scala (@rscalateach). Additional resources include these previous posts: “The Process of Meaning Making,” “Beyond CCSS: Know and Wonder Charts” (July 2013), and our group facebook page where last year’s chats are archived. What have I learned since last summer? Students must do the work! Teachers cannot wait until their comprehension instruction is perfect. Students need to be “doing” the work of constructing meaning. There is a huge difference between students who “don’t understand YET” and students who don’t know what they are doing. 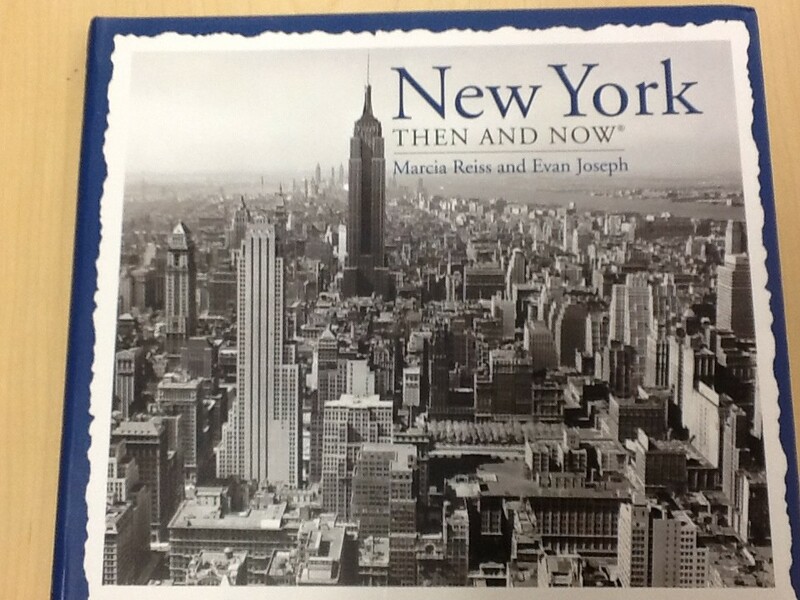 Here is some of our work from third grade last month. 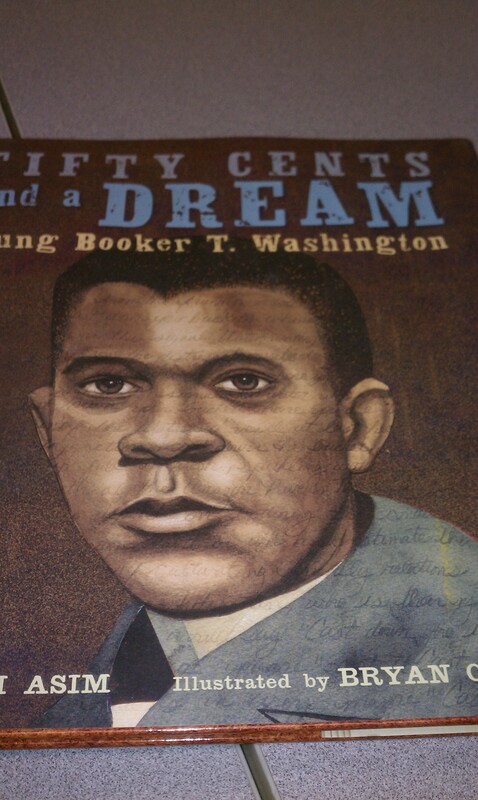 Our book was Fifty Cents and a Dream: Young Booker T Washington. 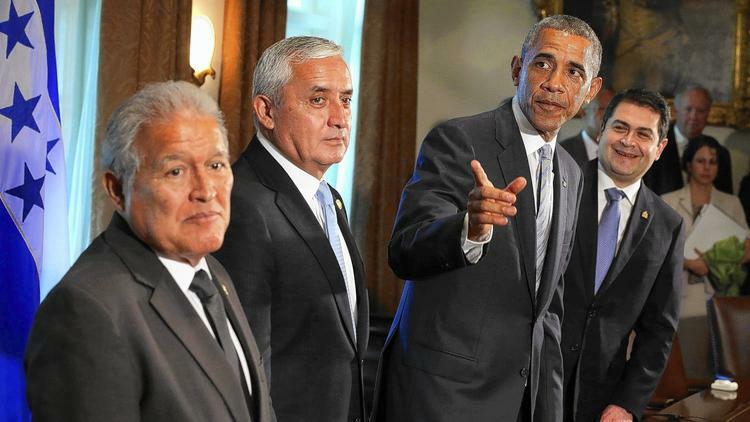 Were any of our questions answered? Were any patterns beginning to emerge? 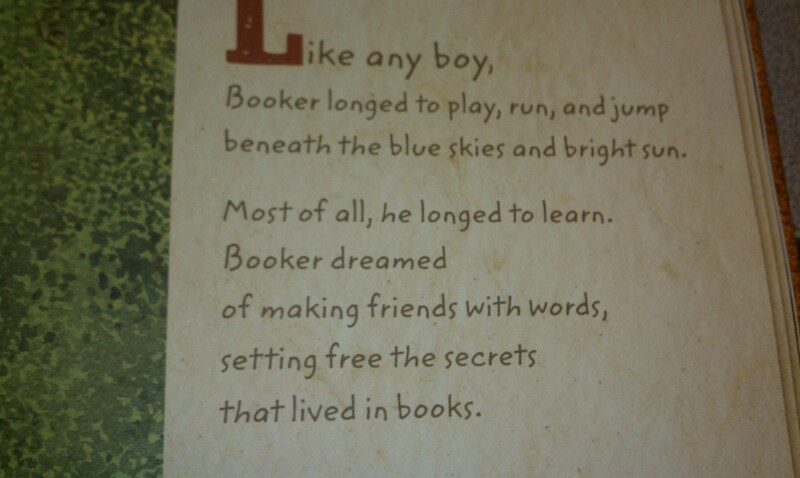 Our question of “Why is Booker NOT reading?” was answered on this page. One of our goals was to see how the character developed over time in this text. 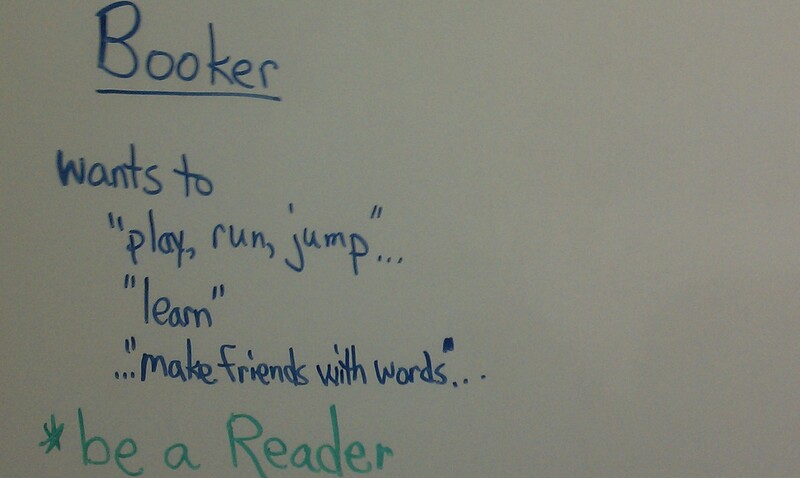 How did the author reveal information about Booker? As students worked with partners, they crafted their own post – it descriptions (rewritten here – 😦 poor photography skills). How could these descriptions show a progression of “drafting understanding” that could be used to dig deeper into the author’s words? These first two were pretty similar and were easy for the students to think about as “evidence-based” descriptions with picture two adding the inference “be a reader.” Picture 3, below, demonstrated students who continued on through the text in search of “MORE” ideas and evidence. 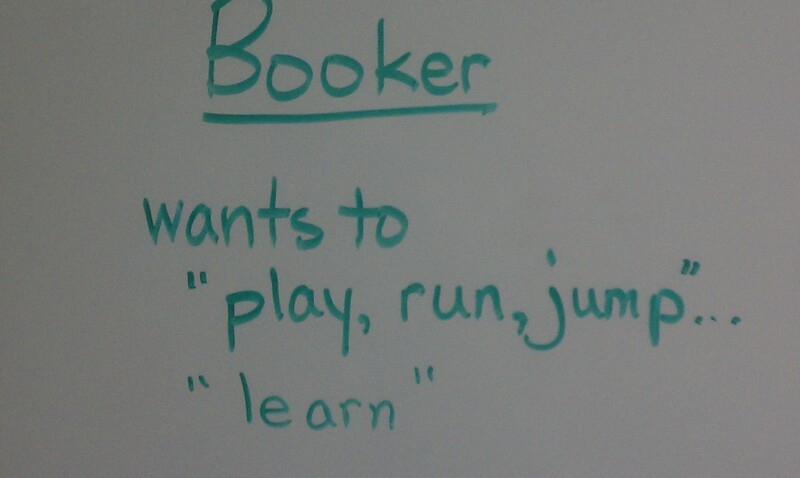 They wanted to know “WHY” reading was so important to Booker and they did not stop until they had drafted their theory. But, we had to take a deep breath and stop and rethink here. The ultimate goal is NOT to get the “top star” rating. 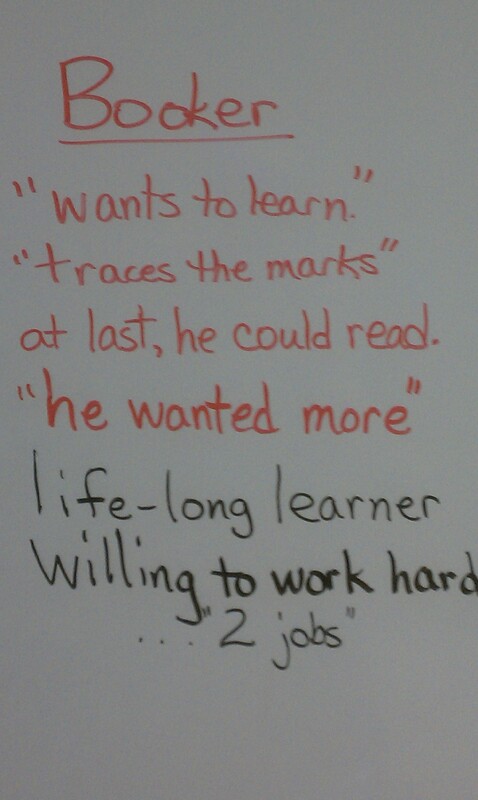 We wanted to include some self-assessment so students could focus on the learning targets, but we wanted to be crystal clear in our ultimate goal. 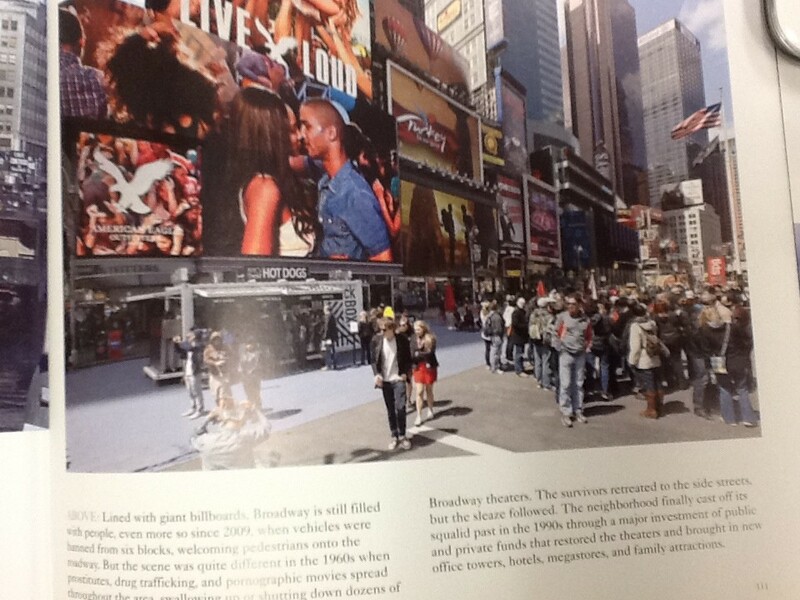 This sent us back into the book to re-read to check what the text REALLY said instead of what we “thought” it said! The focus for instruction moved to “patterns.” Students begin to look for “patterns.” This is the stage where the students were “reading forward and thinking backward” as they” tracked patterns to see how the patterns were connecting developing, or changing.” The “What we Know” changed to “ALL” about the pattern – What is the pattern? How is the pattern changing? 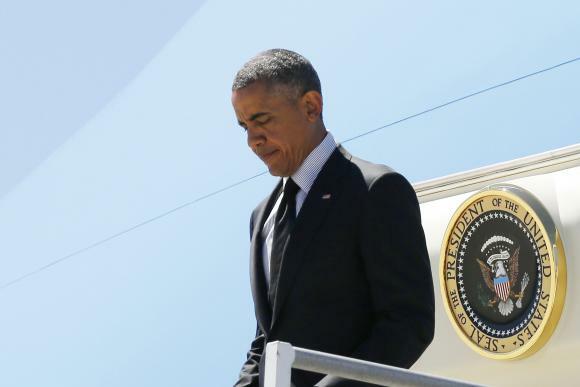 and the “Wonders” shifted to – Why? What could the author be showing us? What do you think? 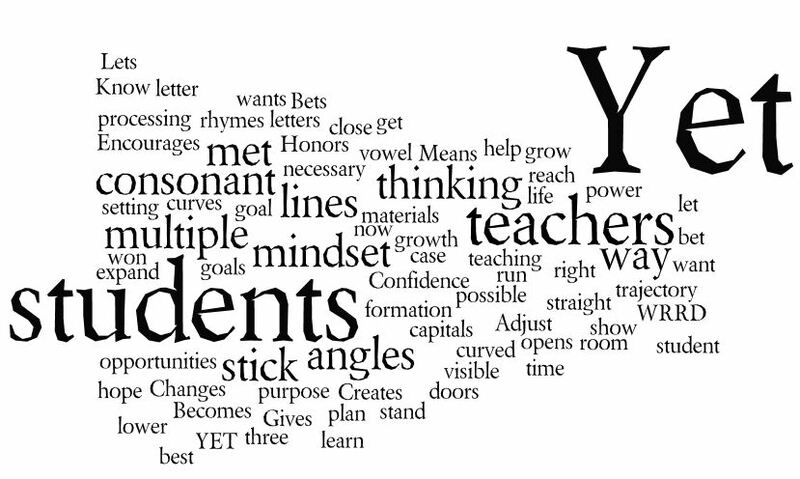 How do you help students draft their understandings? And how do you stay focused on the real goal? During July 2013 we read and chatted about this book for several weeks in the Twitterverse and created a facebook page here that includes several of the storified chats. We are currently prepping for a reprise chat, Tuesday, April 22 from 8:30 – 9:30 EST. Questions for the chat are on this google doc. Our hashtag is #WRRDchat . Follow @azajacks @rscalateach @jarhartz who have been an integral part of this adventure for the last year. Join us Tuesday night, April 22, 2014, as we share our learning, continue to ask questions and expand our learning community!